I have purchased dress shirts from Deepu on a number of occasions and on each occasion I was more than happy with the quality, price and overall service. I firmly believe that a good quality dress shirt gives you confidence and makes you stand out amongst the crowd and that's exactly what I am getting. I seriously doubt I will ever buy a dress shirt from anywhere else. Raven’s International tailored a lovely tuxedo jacket for me, exceptional in its quality, workmanship and design at a very reasonable price in virtually no time at all.I am one very happy customer and will be certain to use their services again. My co-worker was wearing very nice made-to-measure shirts everyday, so I start to think about making some for my husband's birthday, who has never tried custom made shirts before. I asked my co-worker to introduce Raven's International, and custom made shirts were an excellent birthday gift. My husband looks great and he likes it very much. It was also a fun to choose cloth and pattern with Mr. Deepu as he brings a wide selection of material and colors for us to choose.Thank you very much. I have ordered dress shirts and bespoke suits from Deepu on a regular basis over the years and both the quality and service is exceptional. I find the service from Raven International to be very convenient when Deepu visits Spain/Gibraltar as one does not need to purchase the clothing every month just now and again. Upon ordering the request is dealt with very quickly and the end result is always a good fit not to mention very good value for money. If you’re like me you will enjoy the option of having a good fit instead of enduring the discomfort of a off the rack store product. I had my first bespoke suits and dress shirt made by Raven's International back in 1995 when I was living in Japan. The focus on quality and craftsmanship has been the cornerstone of all products from the beginning and I have been a frequent return customer for the past 18 years. 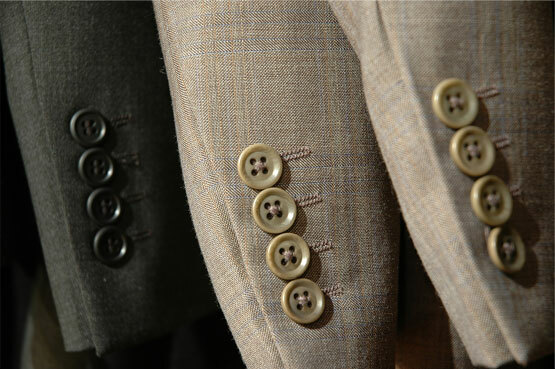 Deepu Daswani and his team know how to source quality materials, and backs them up by dedicated tailoring work. Whether based in Tokyo, Hong Kong or now Singapore, I can rest assured that the details of my dress shirts and bespoke suits are all taken care of when I order a new item. I can highly recommend Raven's International as a quality bespoke tailor. Best fitting dress shirts I've ever owned!